In August 2014, Tawn and I journeyed to Hong Kong for a long weekend, celebrating the fifth anniversary of our marriage. (Yes, I realize that it has taken more than two months to actually post the details of this trip.) 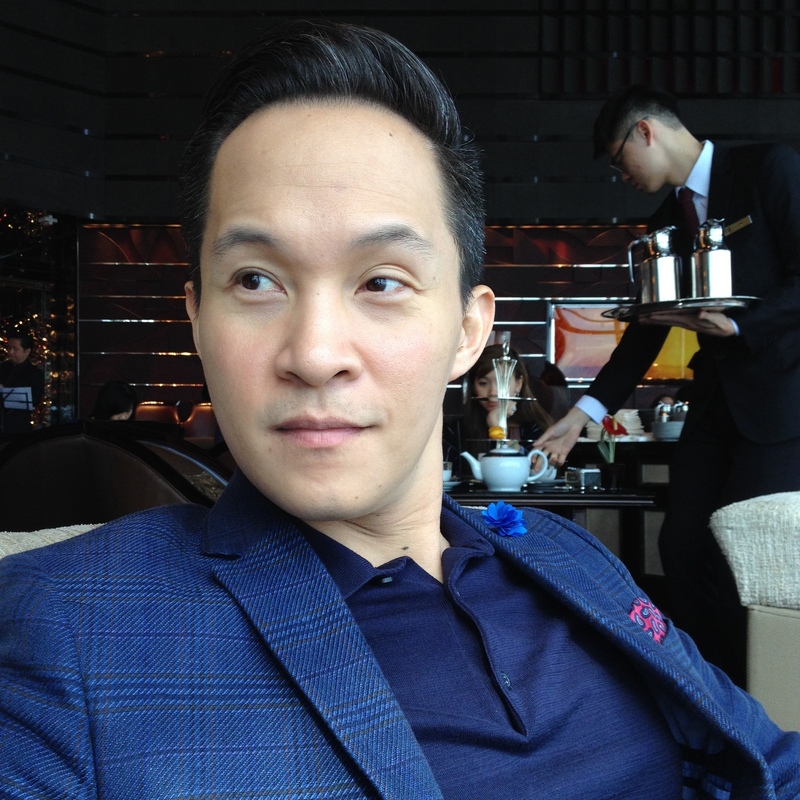 While there, we decided to splurge on an afternoon tea at The Lounge and Bar at the Ritz Carlton Hotel. 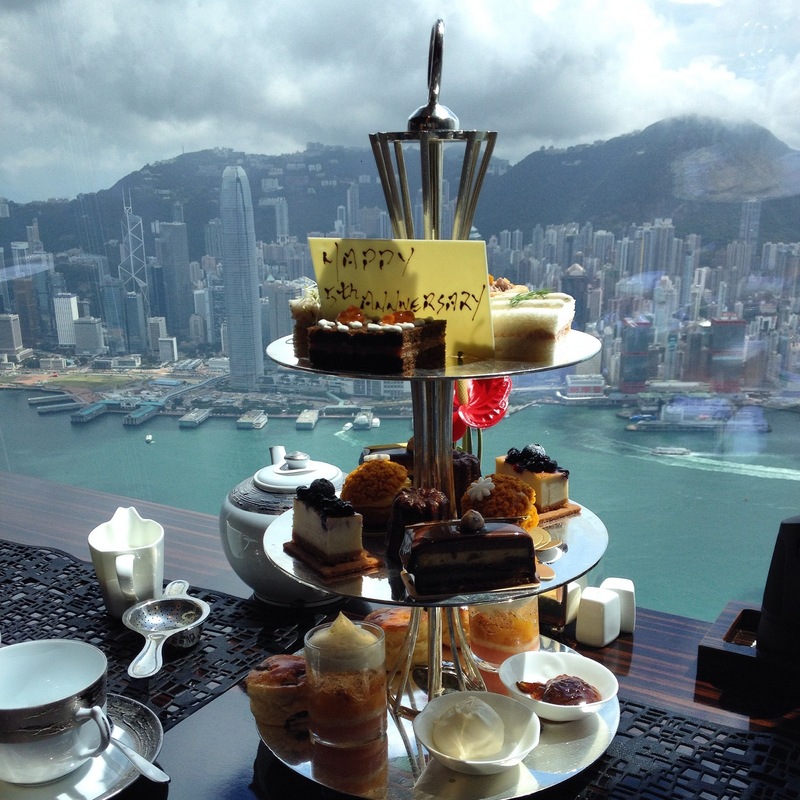 Perched on the 102nd floor of the International Commerce Centre in Kowloon, The Lounge and Bar offers one of the more stunning views for afternoon tea and at HK$598 (about US$78) for two people, it is not unreasonably priced. Having indicated on my reservation the reason we were coming for tea, the hotel thoughtfully decorated our tray with a white chocolate “letter” wishing us a happy anniversary. The amount of food is generous – plus two full pots of tea. 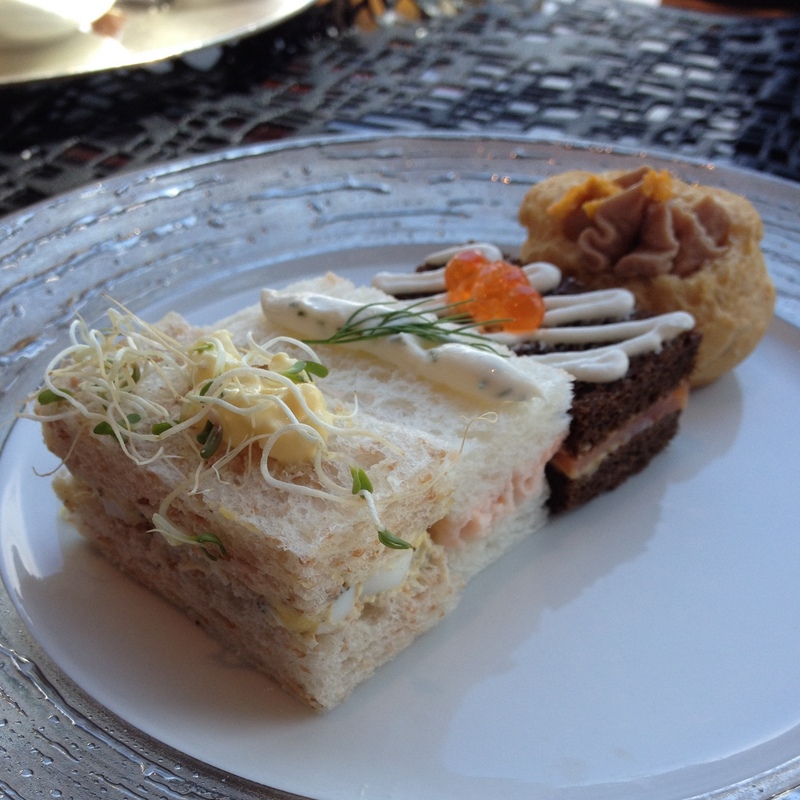 The savory sandwiches were a truffle egg mayonnaise on brown bread, shellfish and dill cream on white bread, and smoked salmon with lemon curd on rye bread. There were also duck foie gras pate mini puff pastries with freeze-dried passion fruit. 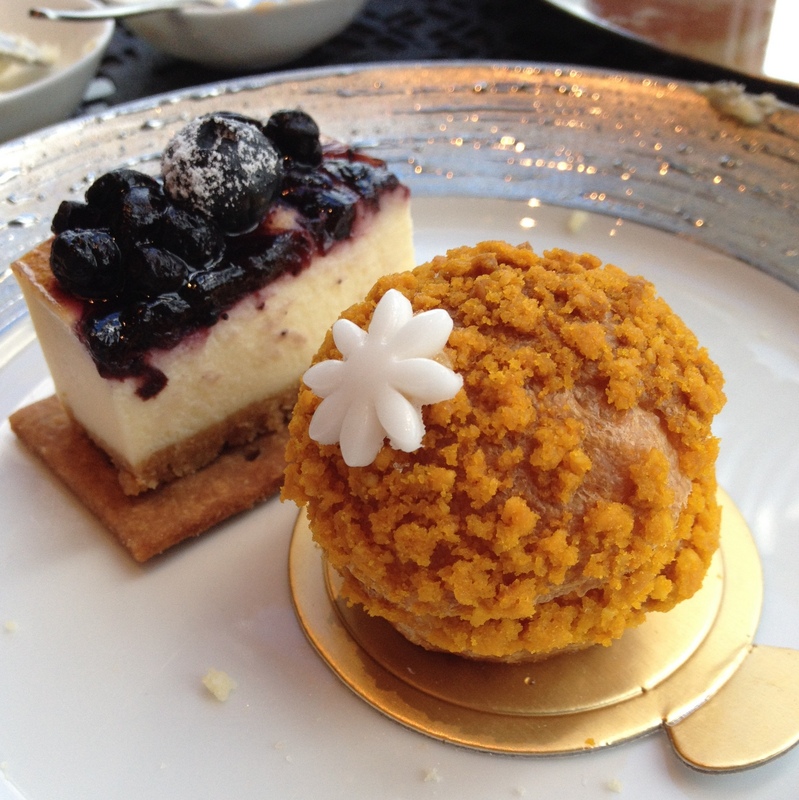 The sweets included blueberry cheesecake, mango choux, and peach vanilla verrine (not pictured here). 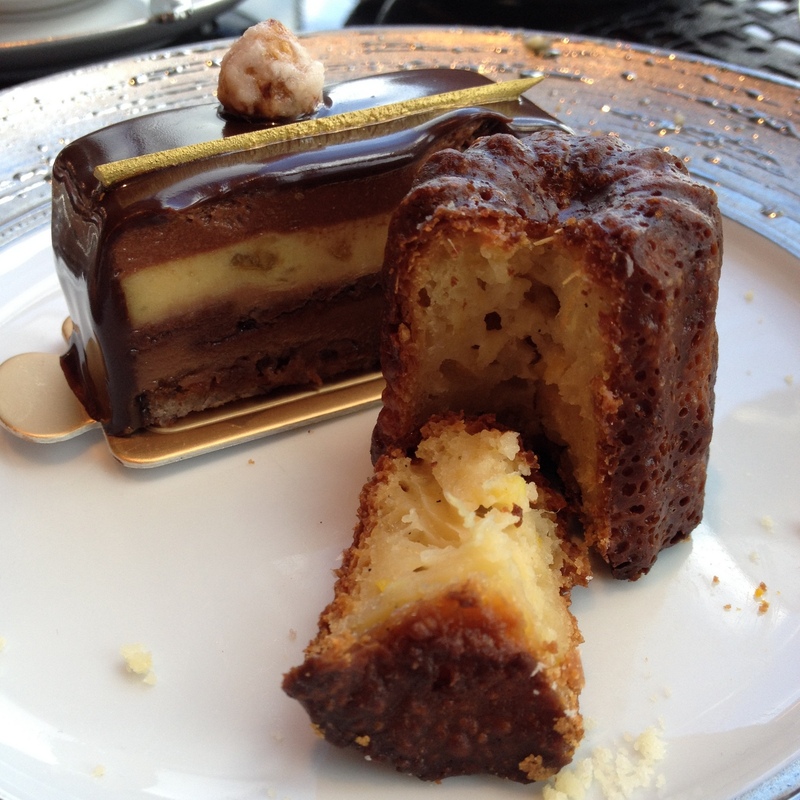 There was also hazelnut lemon cake and orange ginger canneles. I love canneles! 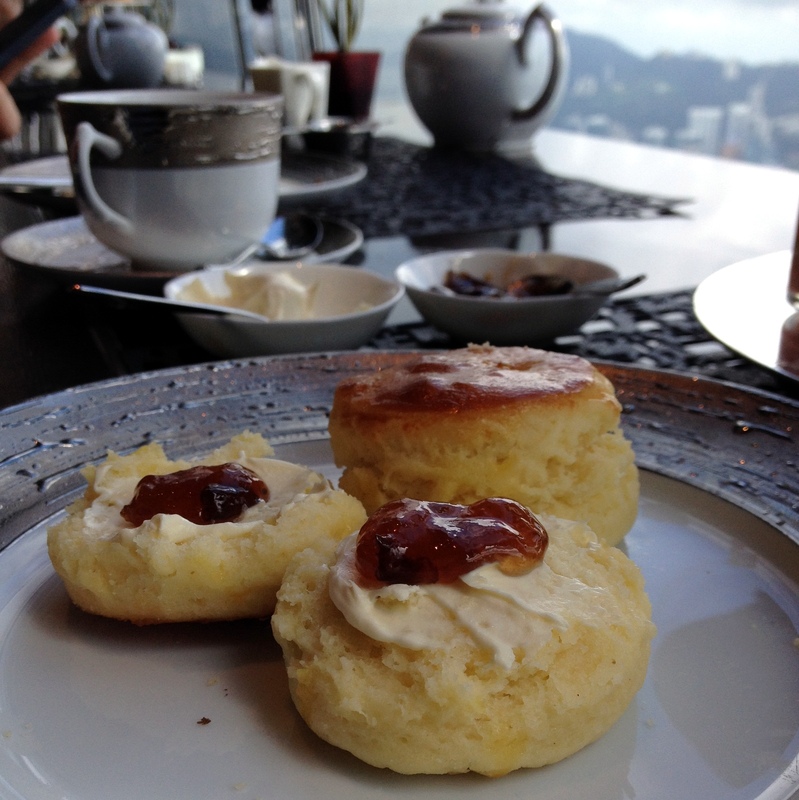 And of course you cannot have tea without scones. Two types were served with belberry jam and clotted cream. The teas come from Marriages Frères, the Parisian tea company that offers so many high-quality flavors to choose from. And the china is beautiful. 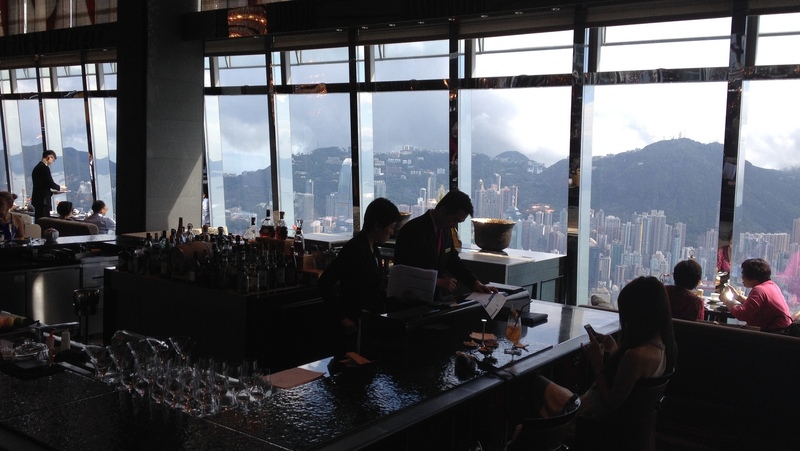 It was a very relaxing two hours with attentive service, amazing views, and too much tasty food. For the price, it was actually quite reasonable. Happy anniversary honey! We should make this an annual tradition to celebrate.